Ralph Lauren: A Christmas Metropolis — Geoff Howell Studio Inc.
Once again, the folks at the Ralph Lauren women's flagship store on Madison Ave. asked us to help them create another spectacle, this time for their big holiday window presentation. And what a spectacle it was! Inspired by the 20th century artist Tamara De Lempicka, the windows are a tour-de-force of deco architectural splendor. In particular, we helped develop the sparkling Swaroski studded curtain that borders the arched windows (watch the video sample below to see them in action! 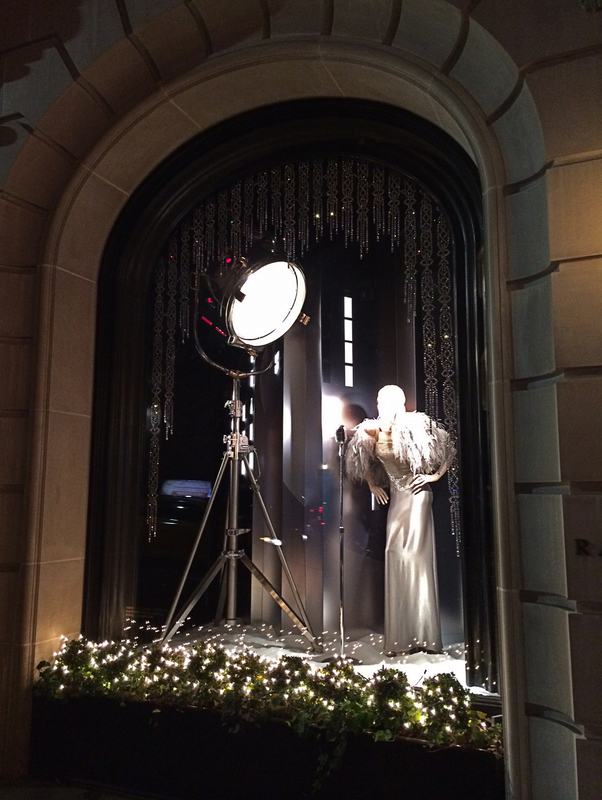 ), the large backlit frosted plexiglass cityscapes that are in every window, the spectacular corner window showcased in an imaginary art-deco penthouse, the vintage sportscar sculpture, and with the exception of the mannequins, christmas wreaths, garlands, gifts and silver spheres, all the other three dimensional elements on display.